Don Pecyne, a Buffalo native, has been a valued Bills Season Ticket Member for 27 years. Since 1989, Pecyne has created many Bills memories. Still vivid in his mind, Pecyne will never forget attending his first game as a child with his father. Although he has many, Pecyne fondly remembers two of his favorite Bills moments. Through the years, Pecyne has enjoyed watching his all-time favorite players take the field, such as quarterback Jim Kelly and linebacker Bryce Paup. Currently, his favorite member of the team is defensive tackle Kyle Williams. For Pecyne, attending each Bills home game gives him the opportunity to spend quality time with his family and friends. As a long-time Bills Season Ticket Member, Pecyne’s favorite thing about game day at New Era Field is the experience. Pecyne’s favorite perks of being a Bills Season Ticket Member include, receiving a discount at The Bills Store and the Bills Bucks Card. The Buffalo Bills would like to thank Don for his 27 years of being a loyal Bills Season Ticket Member and our first Season Ticket Member of the Game for the month of September. 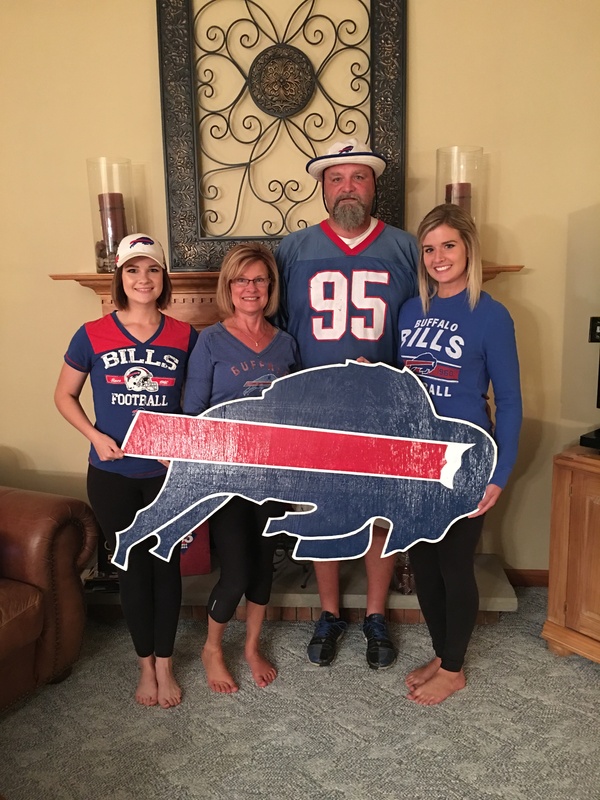 In addition to Don being selected as a Season Ticket Member of the Game, he received two pregame on field passes to the Bills versus Jets game on September 15th, a seat upgrade, an autographed football, and select 2016 Bills merchandise.